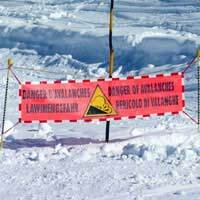 The word avalanche strikes fear into the heart of many a winter sports enthusiast, but in reality, there are actually thousands of avalanches every single day, all over the world. Most avalanches don’t cause any danger at all, but if you are caught in one while skiing on the mountains, it can be a completely different matter. Just in the Alps alone, between 120 and 150 every year are killed by avalanches. What are the Chances of Surviving an Avalanche? There have been studies that showed if avalanche victims are rescued within 15 minutes, 90% will survive...but after 35 minutes it’s just 30%. Most victims either die from hypothermia or suffocation. Rescue techniques are now increasingly sophisticated and swift, but it’s a sobering thought that 57% of all buried avalanche victims don’t survive. Frighteningly, a staggering 85% of avalanches are actually triggered by humans. What Should You do if You are Caught in an Avalanche? If you find yourself caught up in an avalanche, the first thing is not to panic. This may be easier said than done, but keep your wits about you and stay afloat by continuing to ski normally and you stand a better chance of escaping the snow and not being dragged underneath it. If it’s too late for that, just abandon your poles and try to keep yourself on top of the snow by ‘swimming’ it. When the snow comes to a standstill you can try and make yourself some breathing space. If you’re part of a group and some of you are buried by an avalanche, the rest of the group needs to act fast to ensure the safety of the others.Make sure there is no more danger from the avalanche first, and then start searching for missing people. Mark the places you’ve already looked to avoid wasting time. Look carefully for any indications on the surface snow that there could be someone underneath. Raise the alarm as soon as practically possible, but remember that it can take one person ten minutes to free someone from under a metre of snow, and you need to get them out within fifteen minutes if possible, so the more helping hands there are, the better. Once you find the victim, start digging with a shovel from the side, and once they are free you need to carry out basic first aid by checking their airways, breathing & circulation if necessary. Keep them warm until the rescue services arrive on the scene. Mobile phones are useful when you’re out on the slopes and can save time and lives if caught up in a dangerous situation like an avalanche. If anyone in your party has a mobile, use it as soon as you can to call the Mountain Rescue Service, but remember that it can still take them some time to reach you so it could well all be over and done with by the time they arrive! Just evaluate the decision at the time.